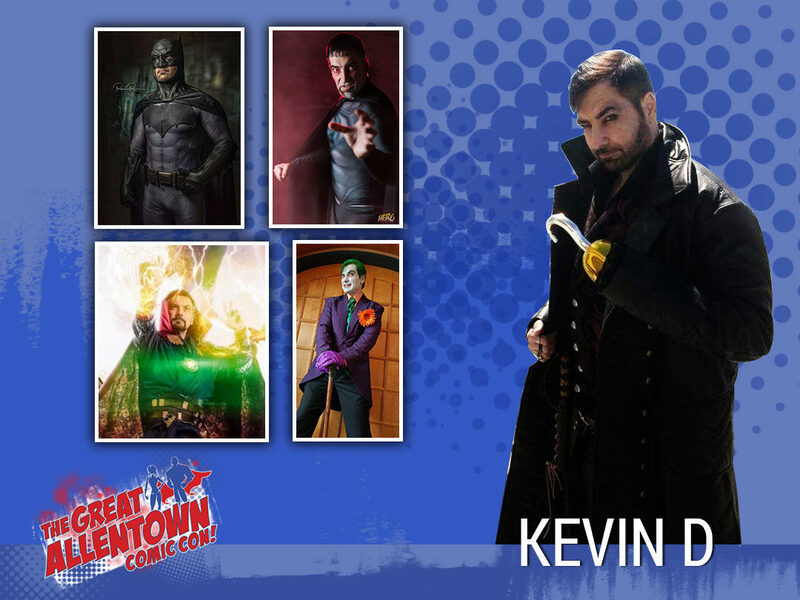 Kevin D is a veteran cosplayer and a fixture of East Coast events in years past. He even appeared as Captain America in a Southern NJ comic shop commercial and as Negan in a local restaurant commercial! You may have seen him as Batman, Captain America, Wolverine, James Bond, The Comedian, and many more, at just about every major convention on the east coast. This year he joins us as a featured cosplayer! His award winning costumes have been featured by multiple online publications including Pop Culture Uncovered, Fan Boy Nation, as well as many others. When not appearing at conventions in his impressive cosplay, Kevin attends charity events as some of his most famous characters, while belonging to The Heroes Alliance and as a founding member of the Philadelphia Avengers.